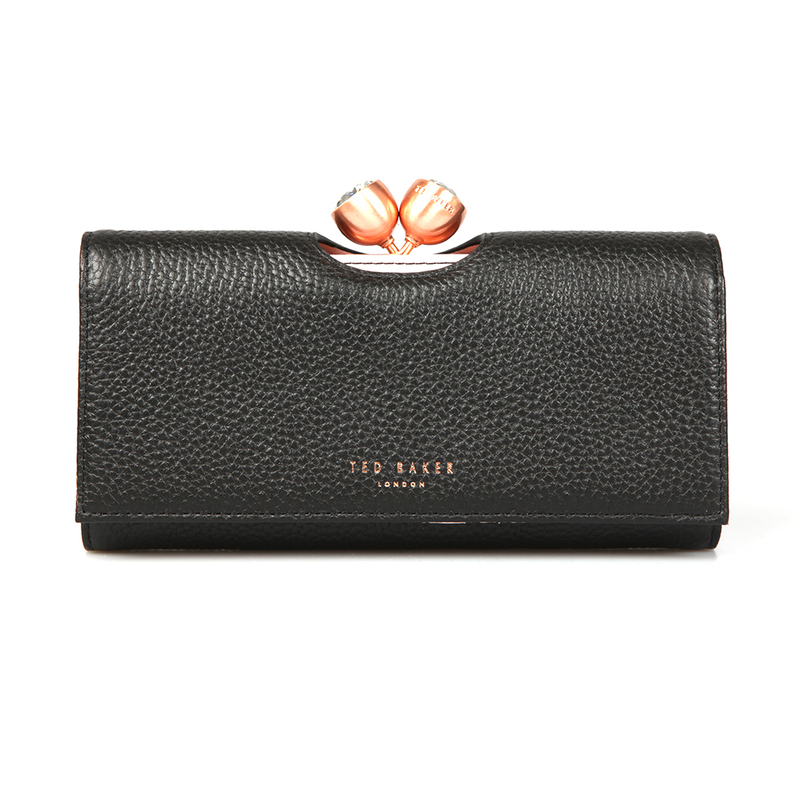 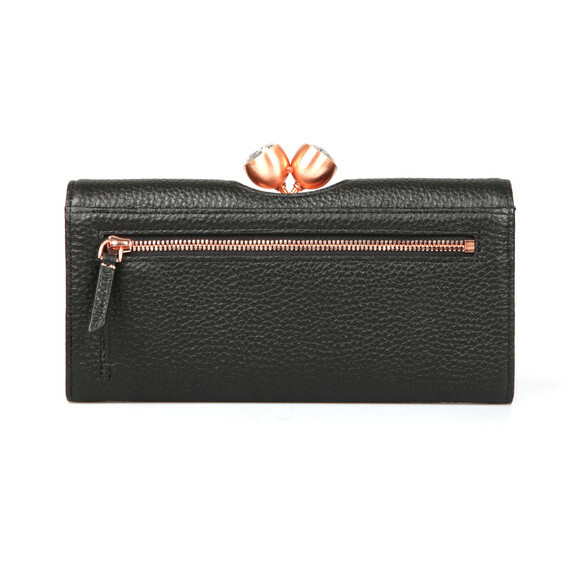 Ted Baker Muscovy Textured Bobble Matinee Purse in 'black' has been crafted from a textured leather and features a rose gold bobble fastener, complete with crystal top detail. 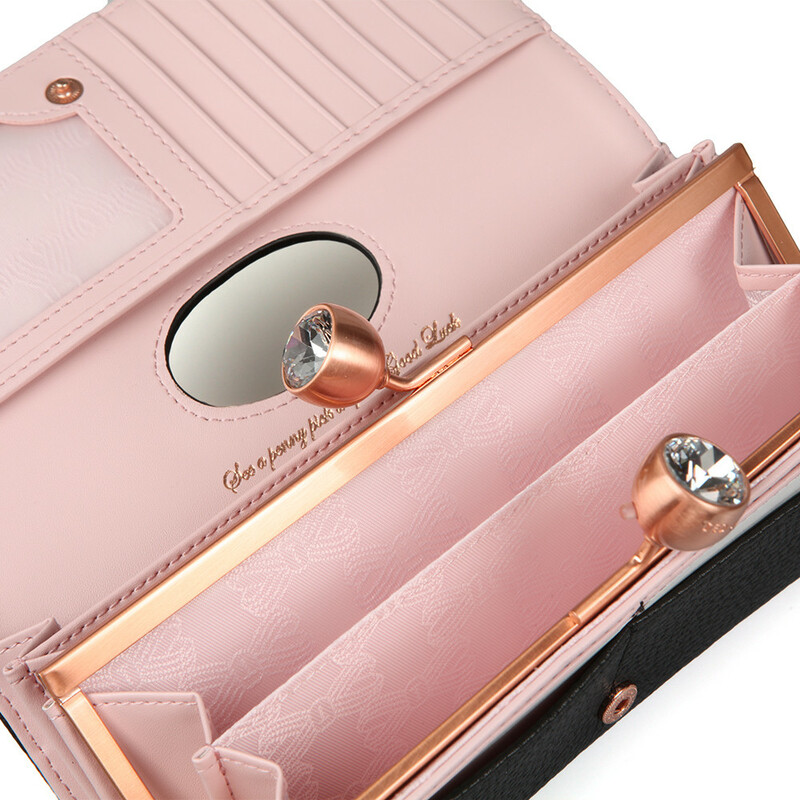 Store all coins, cards & notes within the pink interior and zipped pocket to the reverse. Rose gold Ted Baker branding to the front finishes the look.